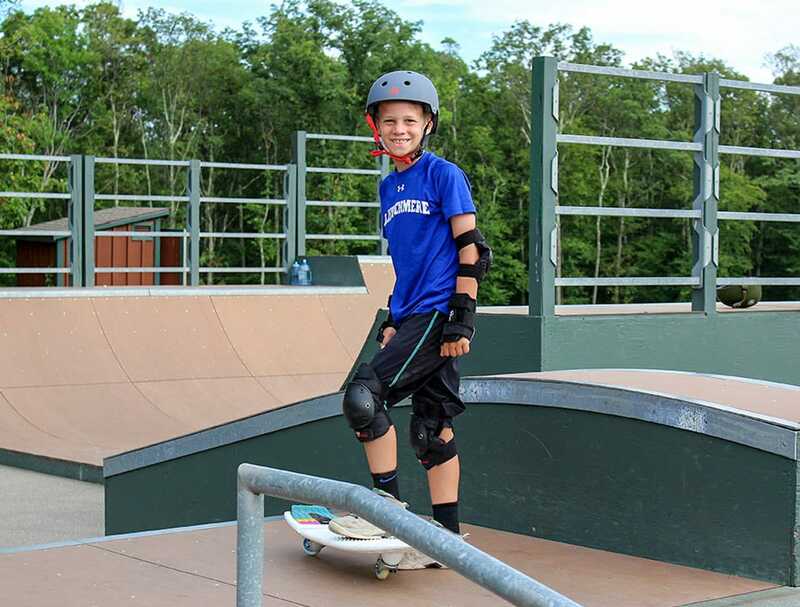 Whether you are looking for basic beginner instruction or competitive intercamp games our athletics program can provide you exactly what you are looking for. Skill Development and Teamwork are the focus of our athletic activities. 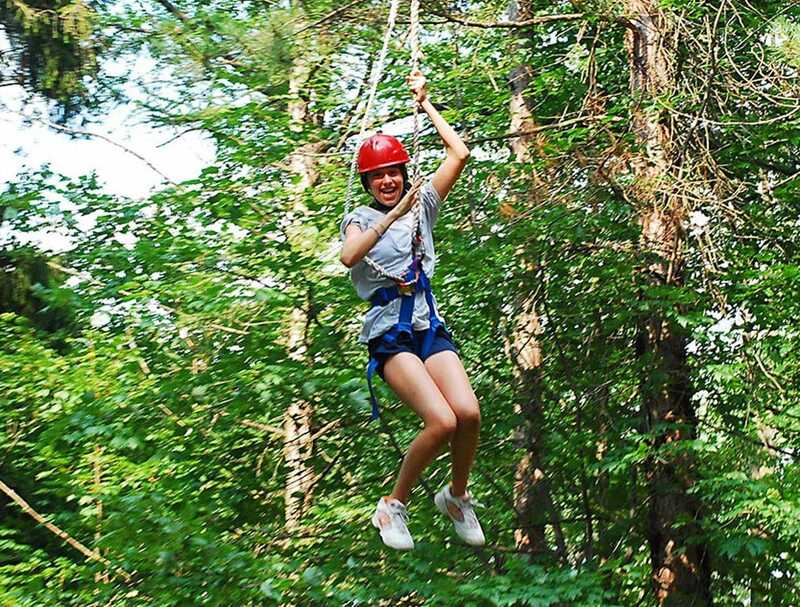 Our counselors strive to make each of their activities areas both fun and instructional. 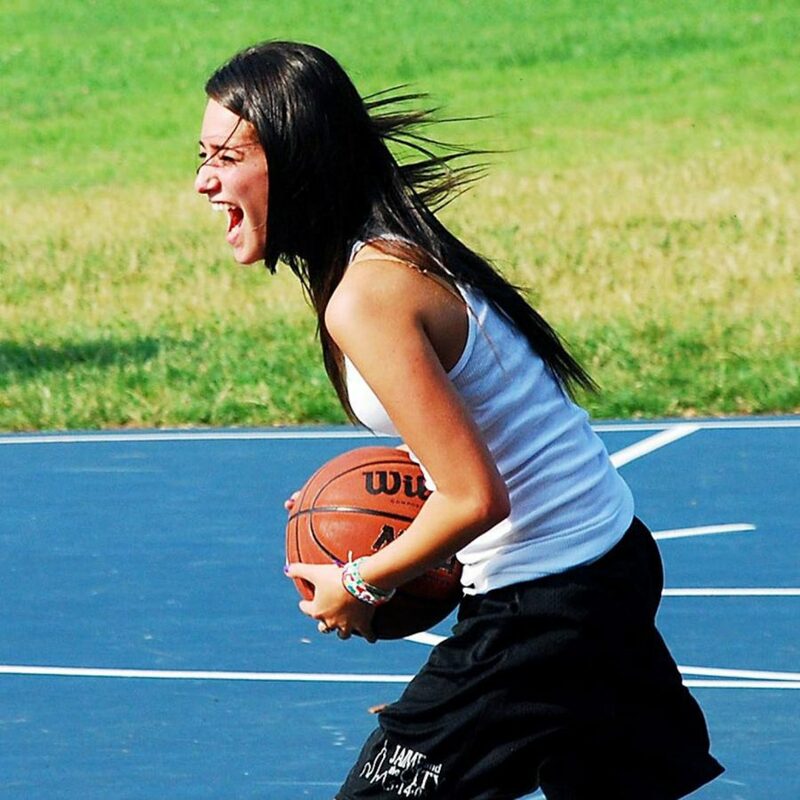 Our basketball complex features 3 full courts, 10 adjustable glass backboards and lights for night time games including a 8’000 square foot covered gymnasium with NBA style hoops. Campers can participate in intercamp camps as well as weekly 3 on 3 tournaments and both offense and defensive clinics. 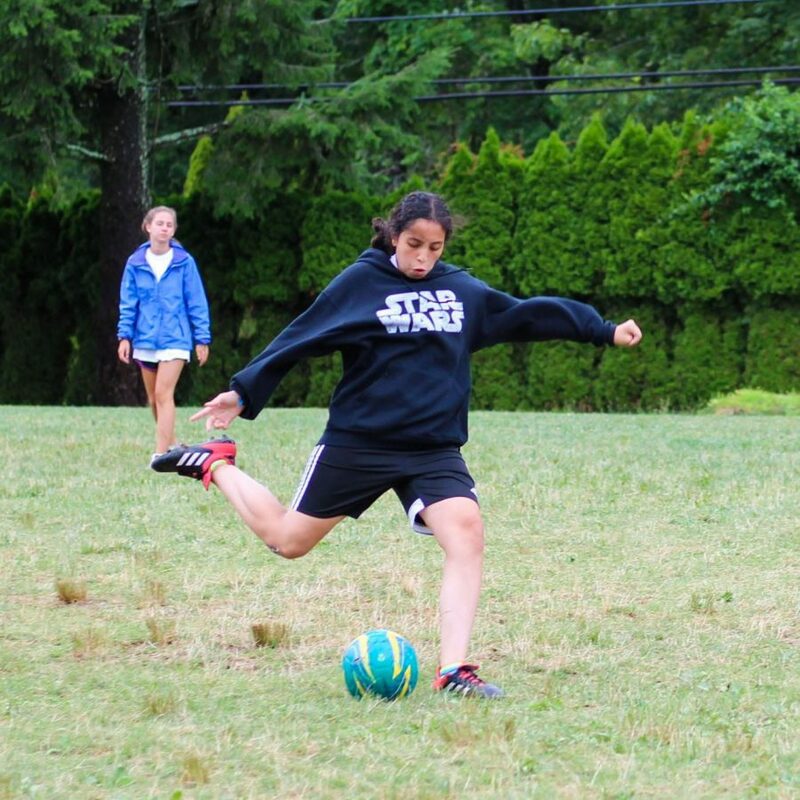 Soccer is one of our most popular sports. With 1-3 fields being used we can accomodate all skill levels. Our collegiate level athletes will work with campers to help them develop the skills they need. 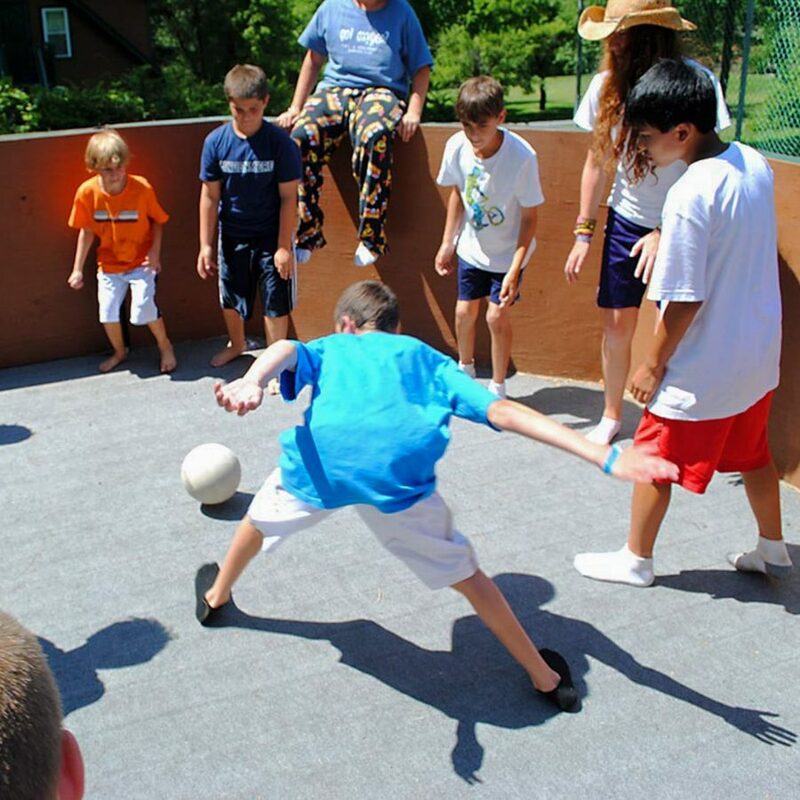 We actively compete with other camps in all age groups. Our USPTA certified program takes place on 8 all weather courts which are always humming with activity. 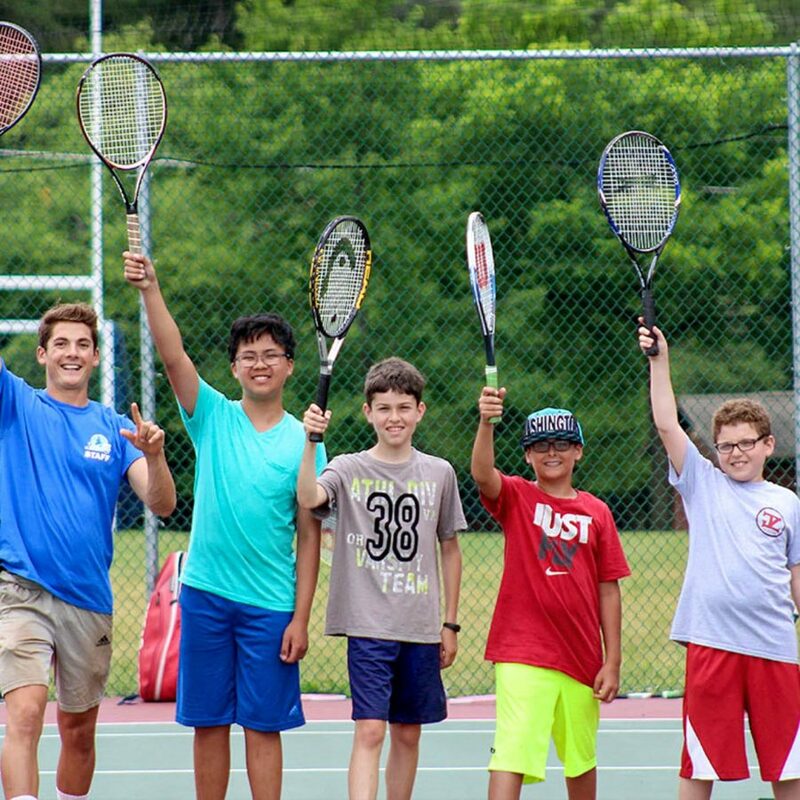 The tennis program is supervised by NCAA collegiate players, club professionals and high school coaches. A step by step approach is used to personalize instruction and ensure that players of all abilities improve all aspects of their game. During minors in the afternoons campers can receive one on one instruction. Our manicured baseball diamond houses our baseball and softball majors/minors. 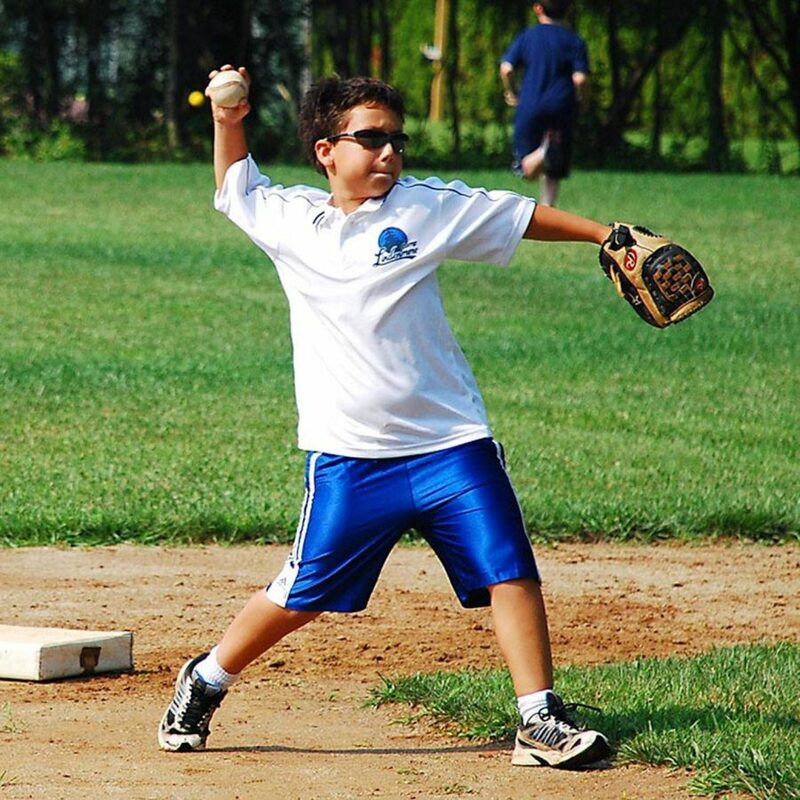 Our program covers all of the fundamentals including, hitting, pitching, fielding, base running and field positioning. Batting practice is held daily both on the field and in our batting cage. 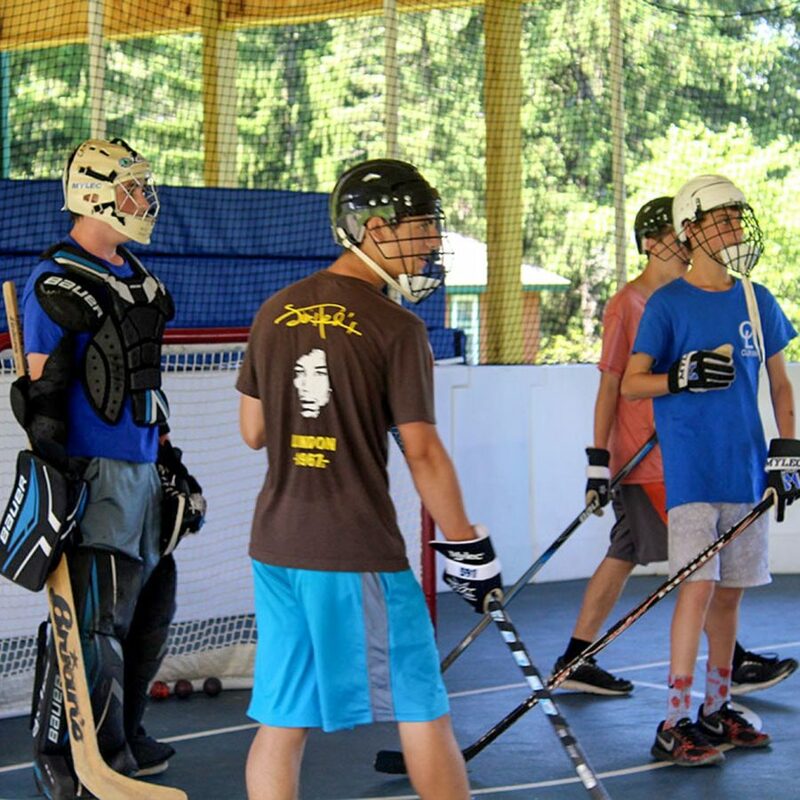 Hockey players can play both street hockey and roller hockey on our brand new covered hockey rink. 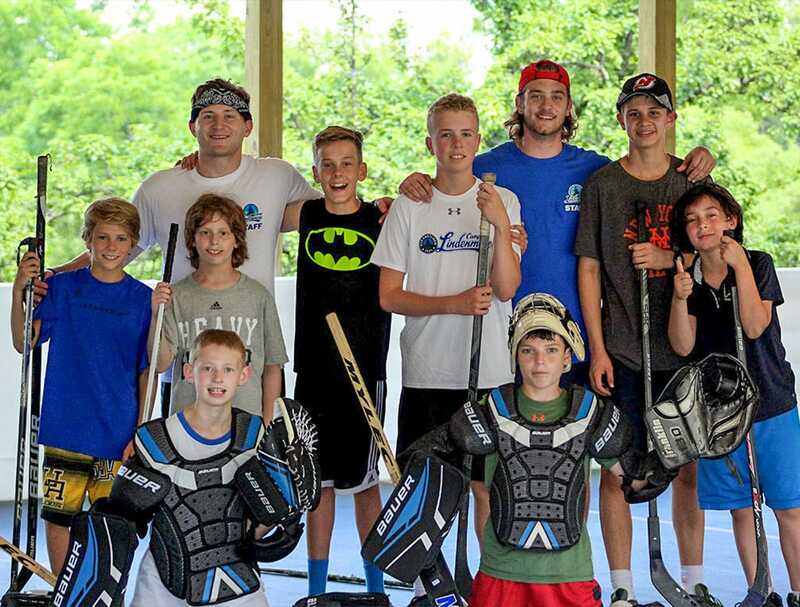 Our instruction focuses on team play, shooting, passing and stick work as well as all other aspects of hockey. 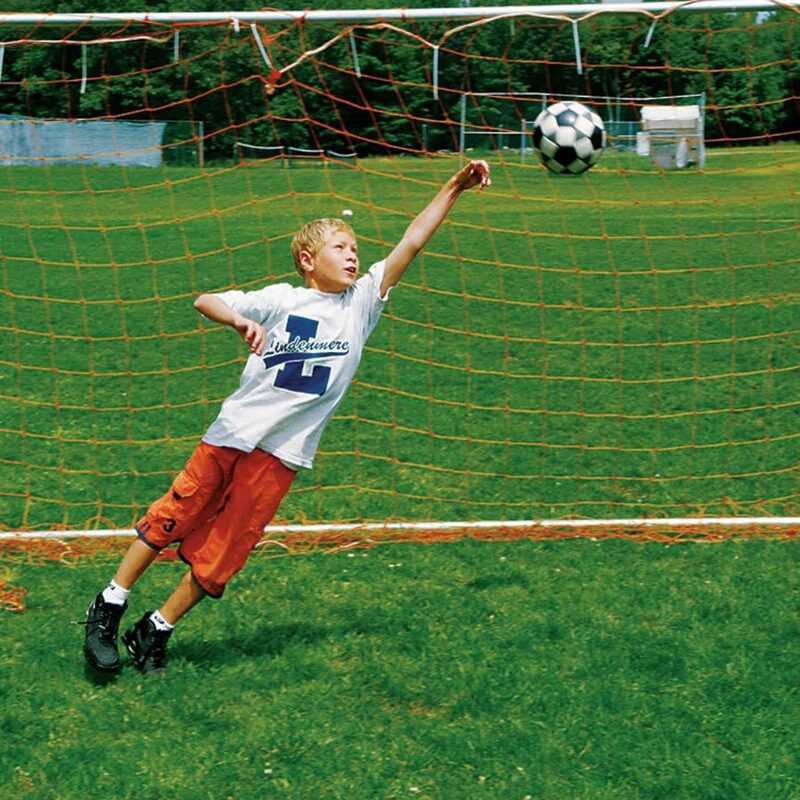 A perfect sport for the campers that love playing football but keeping it safe without contact. 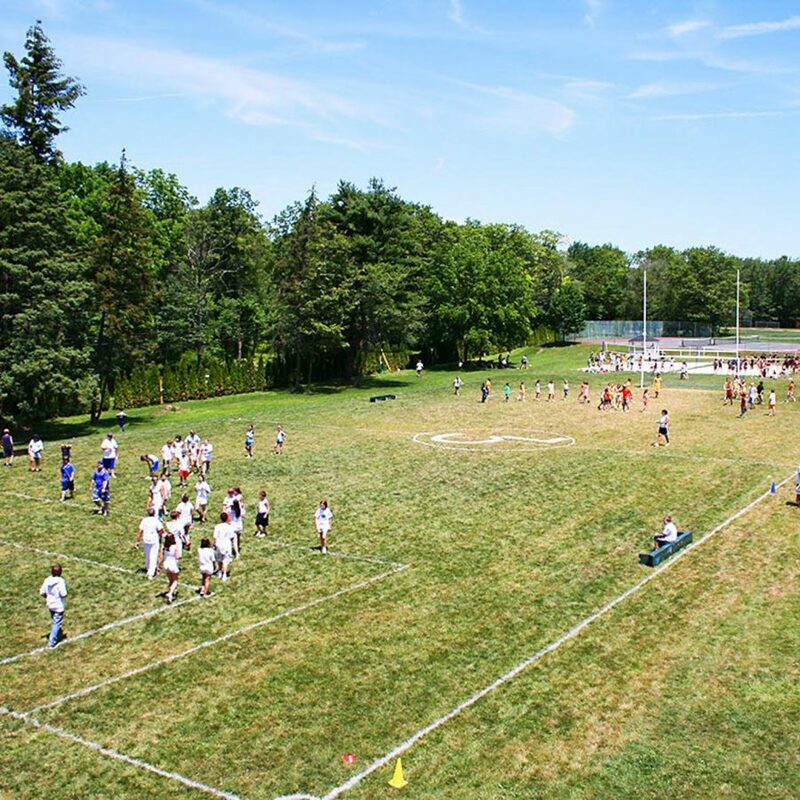 Flag football is popular with both boys and girls. The Fitness Center is home to many Lindenmere programs including general fitness, yoga, aerobics, weight training and running. Campers can sign up for all or any of these programs as majors or minors and get a complete workout! 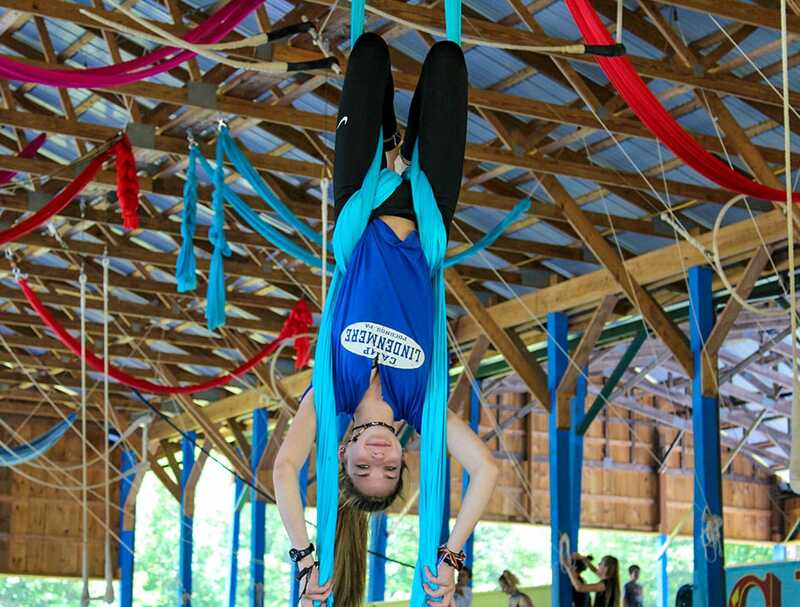 Modern equipment such as free weights, medicine balls, balance balls and steps allow our staff to help each camper realize their personal potential in a non-pressured atmosphere. 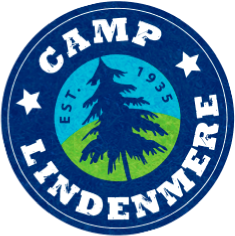 Lindenmere participates in the Pike County league and has intercamp games almost 6 days a week. 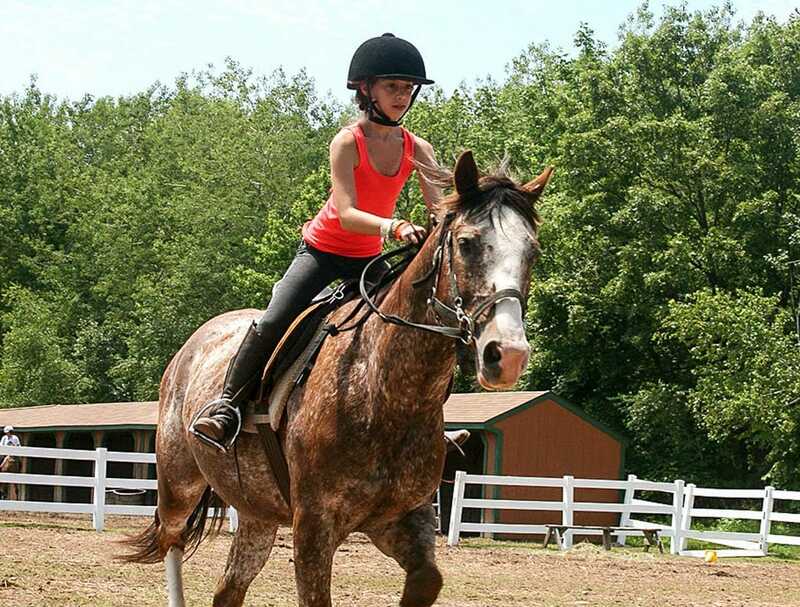 Our gaga rinks are popular for campers of all ages. 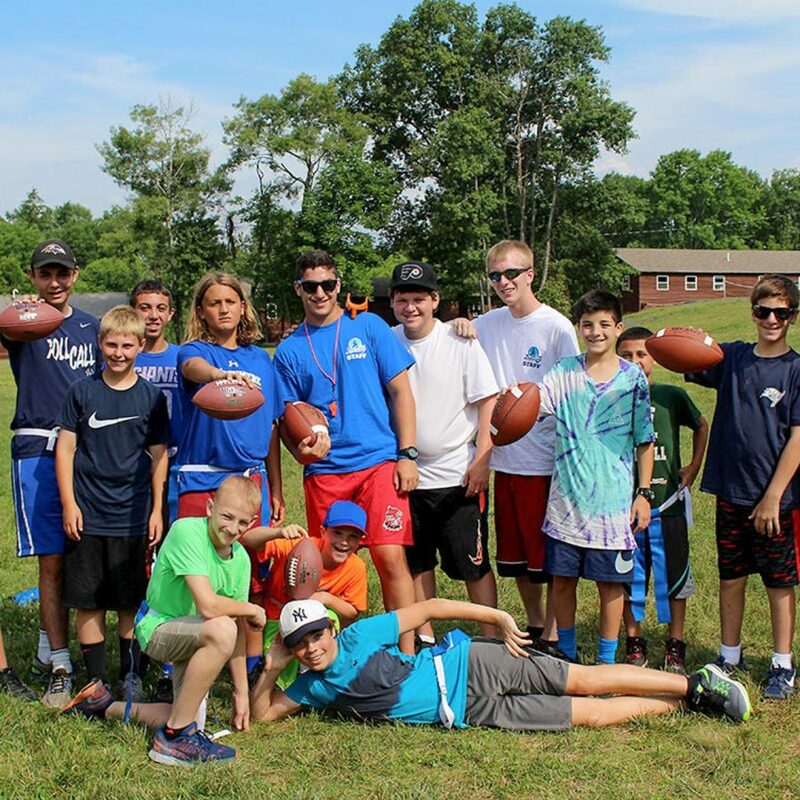 Whether it’s an impromptu game or a scheduled tournament, Lindenmere goes gaga for gaga! 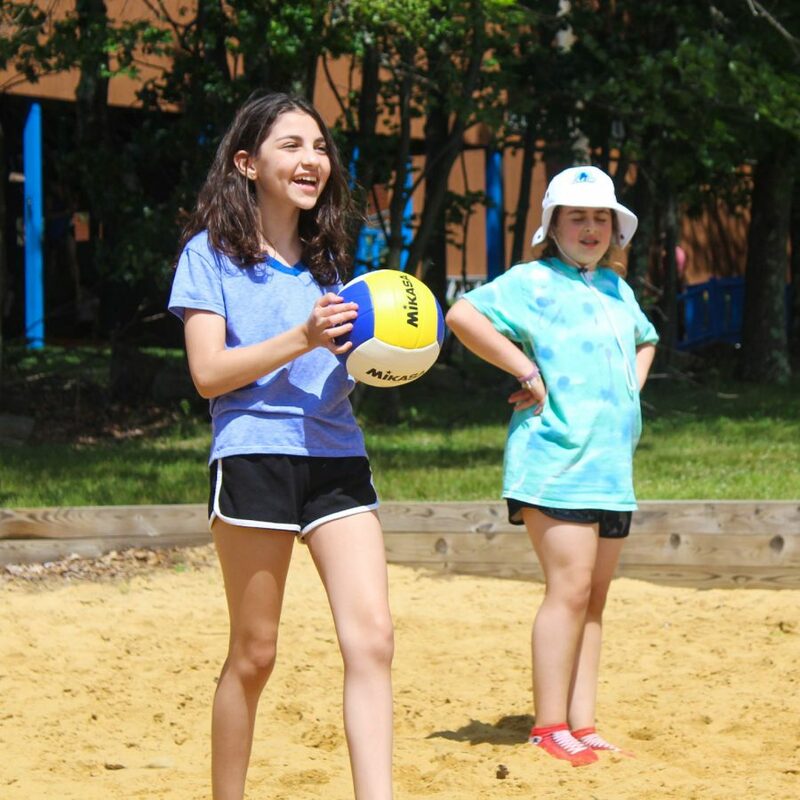 Play on either one of our sand volleyball courts to work on being the best player you can. We provide both team and individual instruction in all aspects of the game. 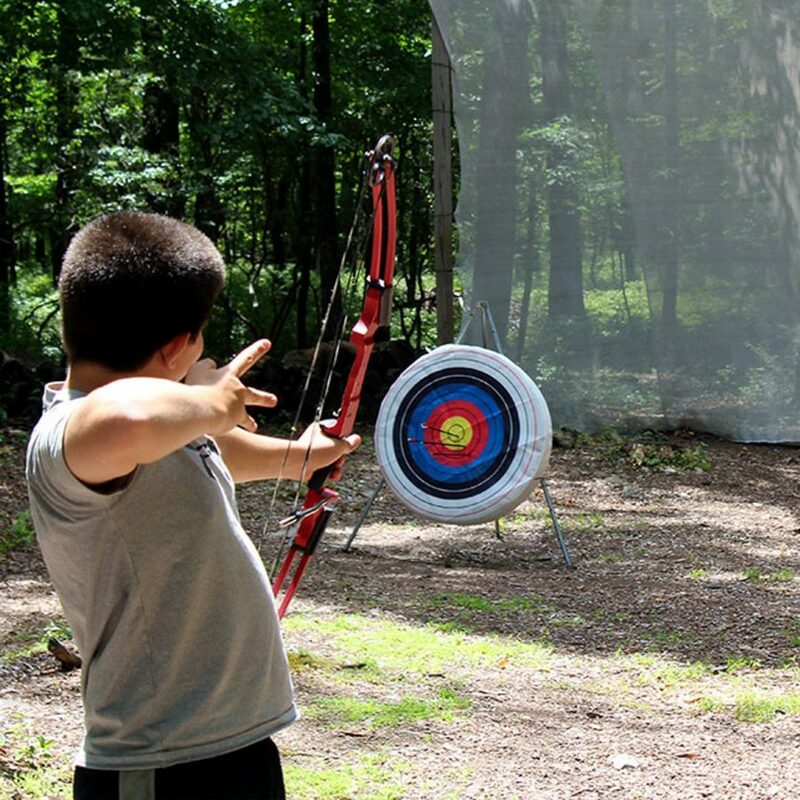 Our archery range is situated in a shaded location to keep our campers cool. We have 4 targets which are carefully overseen by a certified staff member at all times. Younger campers enjoy playing kickball on our baseball fields. 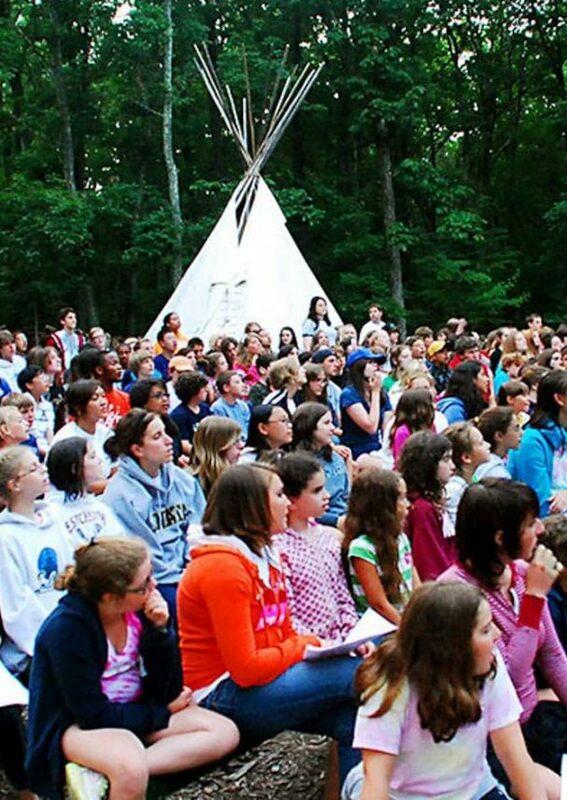 Offered as a minor and for intercamp games it is a friendly way to get the little ones out on the field!